I need to come up with a theme for Pinterest trials (and maybe errors, if that ever happens). Any ideas? 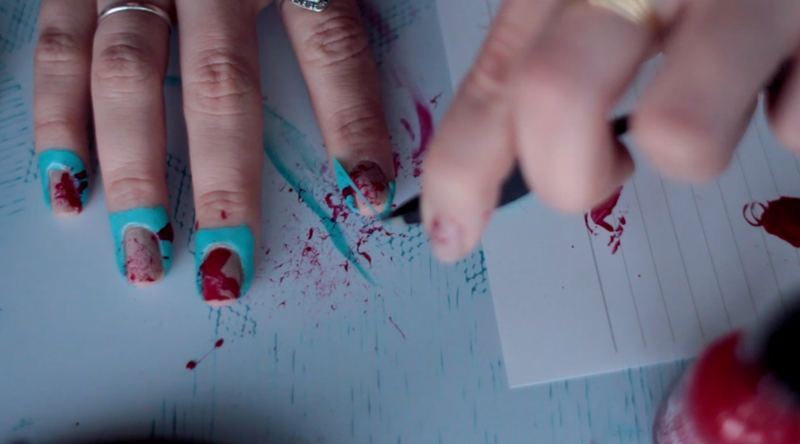 Today's post is all about this easy and versatile way to get into the Halloween spirit-- blood splattered nail art! I ended up using my previously made liquid latex cuticle protector to make cleanup easy and it worked like a charm. 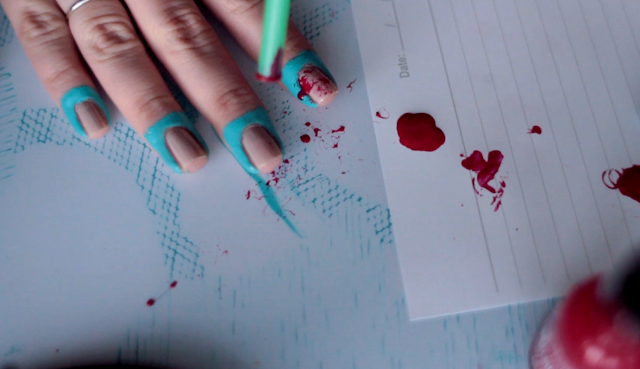 Except for sticking my finger in the splatter that didn't get on my nails. Typical. The trick to this seemed to be adding a bit of paint each time I was dipping my straw into the "blood," but I imagine the type and size of straw you use could have something to do with the effect too. In summary-- try it out! It's really hard to screw this one up. If you're feeling adventurous, find an old toothbrush and "flick" some paint onto the nailbed too. All in all, I give this Pinterest idea a thumbs up. Took no time at all to attempt and was really simple to set up.